Earlier, this in the summer, I had reviewed e-Shakti. Today again I am collaborating with them for a Giveaway for all my U.S. & Canada readers. 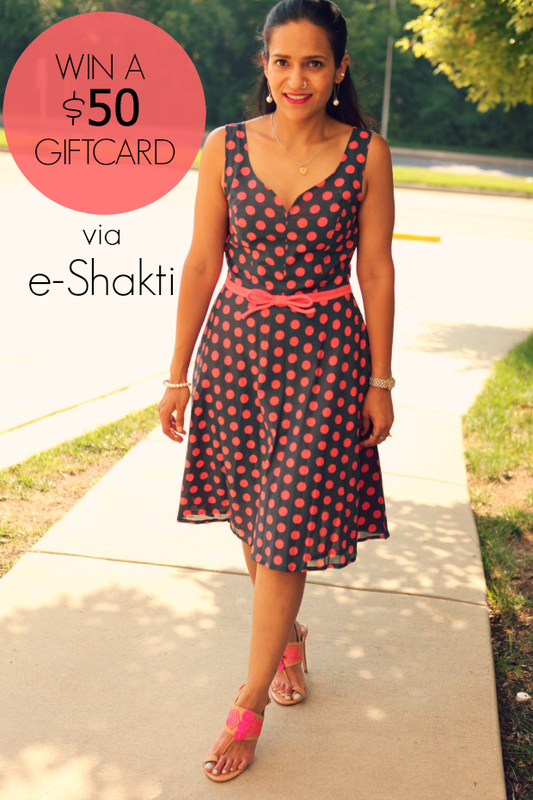 e-Shakti is giving away a $50 Giftcard to one of my lucky readers. All you have to do is visit their website and leave a comment below with the name of your favorite item from their store. This is my favorite from their new collection. You can also earn some extra entries ... Checkout the Rafflecopter widget below for all the details. The giveaway ends on October 14th.